Info : Rambo: First Blood Part II (also known as Rambo II or First Blood II) is a 1985 American action film directed by George P. Cosmatos and starring Sylvester Stallone. The screenplay was by Stallone and James Cameron. 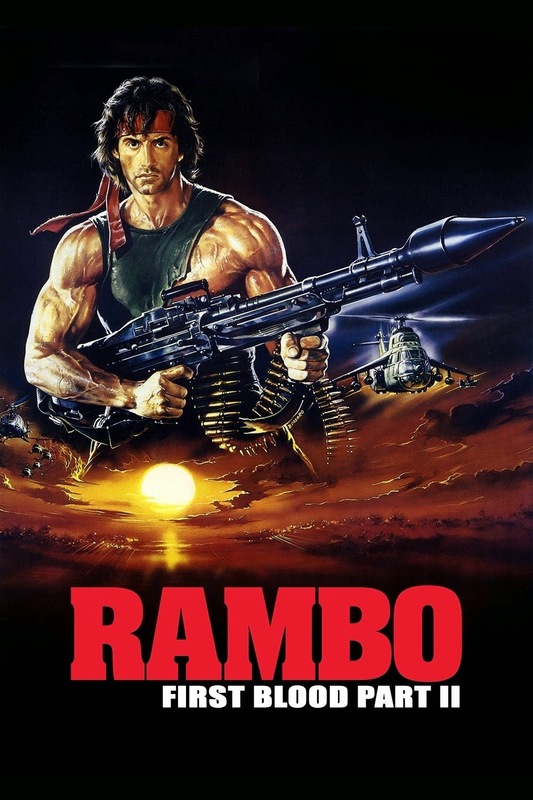 A sequel to 1982's First Blood, it is the second installment in the Rambo series, with Stallone reprising his role as Vietnam veteran John Rambo. Picking up where the first film left, the sequel is set in the context of the Vietnam War POW/MIA issue; it sees Rambo released from prison by federal order to document the possible existence of POWs in Vietnam, under the belief that he will find nothing, thus enabling the government to sweep the issue under the rug.